There’s a reason why year after year, Jus’ Sail earns the Trip Advisor Certificate of Excellence. The Jus’ Sail team is recognised for providing superb quality sailing excursions while living the creed of responsible, sustainable tourism: From investing years into development of a product to fill a niche in Saint Lucia’s sea-excursion market, to lovingly restoring an authentic Caribbean sloop, to creating a full range of unique experiences, you can see the team’s genuine enthusiasm and passion throughout. Jus’ Sail’s ‘Good Expectation’ quietly stands out from her sister-yachts jostling alongside the jetties in their Rodney Bay Marina moorings: She’s a traditional hand-built all-wood Carriacou sloop, a genuine Caribbean girl. As Lucians would say in Creole, y fèt isi-a en kawayib-la (she’s born right here in the Caribbean). 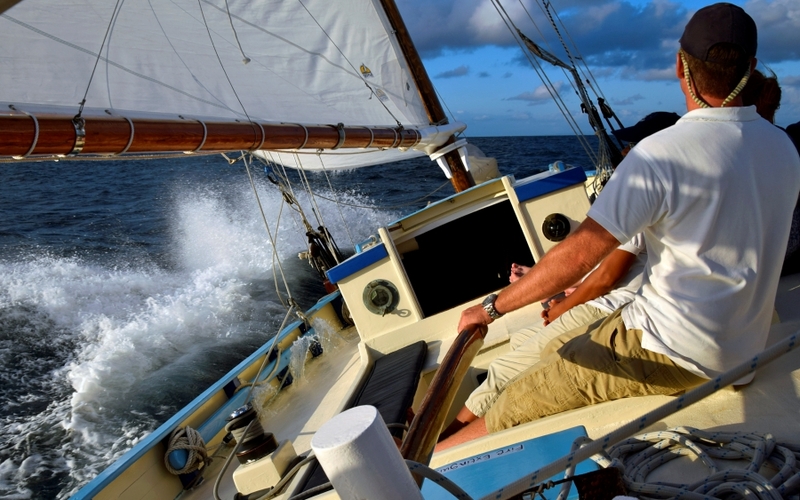 Sailing along the beautiful coast of Saint Lucia, you feel the natural affinity with the sea that’s peculiar to wooden vessels. Originally built in 1984 by Carriacou master Shipwright Zepharin McKlaren, Good Expectation plied the waters of the Grenadines as a cargo vessel for over 15 years bringing the market, the hardware and convenience stores and a few contraband bits ‘n’ bobs, to remote ports along the beautiful island chain. Before Jus’ Sail acquired her, sadly, Good Expectation had fallen into disrepair suffering freshwater rot and worm damage to her hull as she sat in historic English Harbour, Antigua. But in 2011, she was given a new lease of life by Pepsi and James when on a boat-scouting trip to Antigua, they took one sail on Good Expectation and fell in love. Over the next three months, under the masterful hands of Antiguan shipwright Alford Cochrane, Good Expectation was made seaworthy once again. 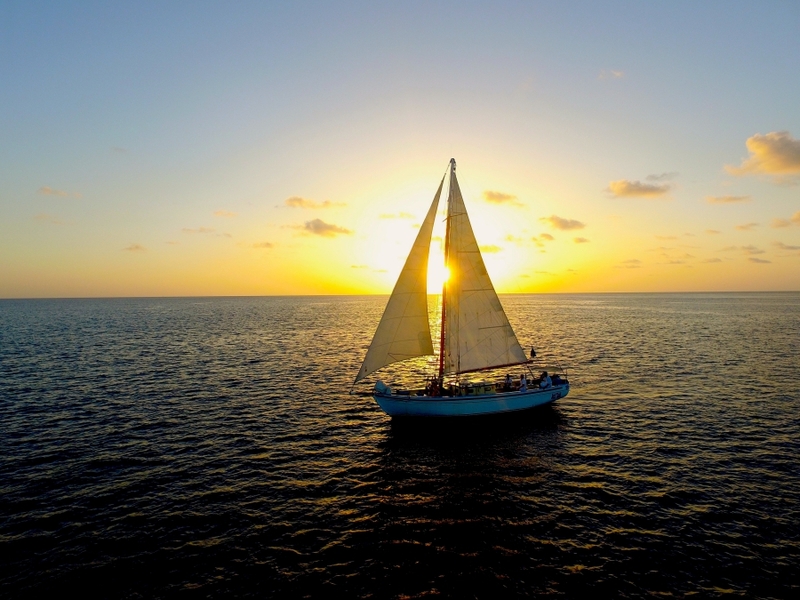 After an eventful sail, without engine, over five days, she was brought her to her new home in Rodney Bay where the final touches to her restoration were completed over three months . 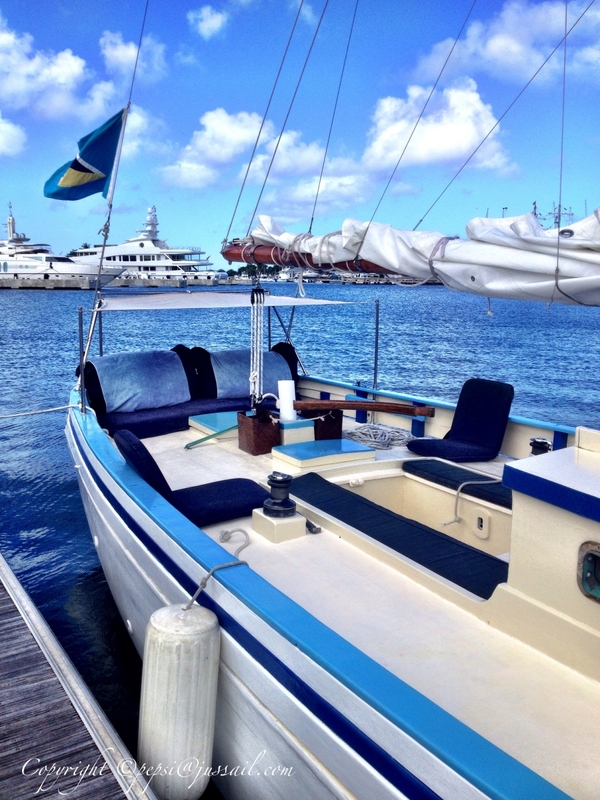 February 2012 saw her relaunch in Rodney Bay Marina under the Jus’ Sail banner of her proud new owners, and since then she’s been plying the sparkling deep blue waters of Saint Lucia’s west coast with one happy load of passengers after another. 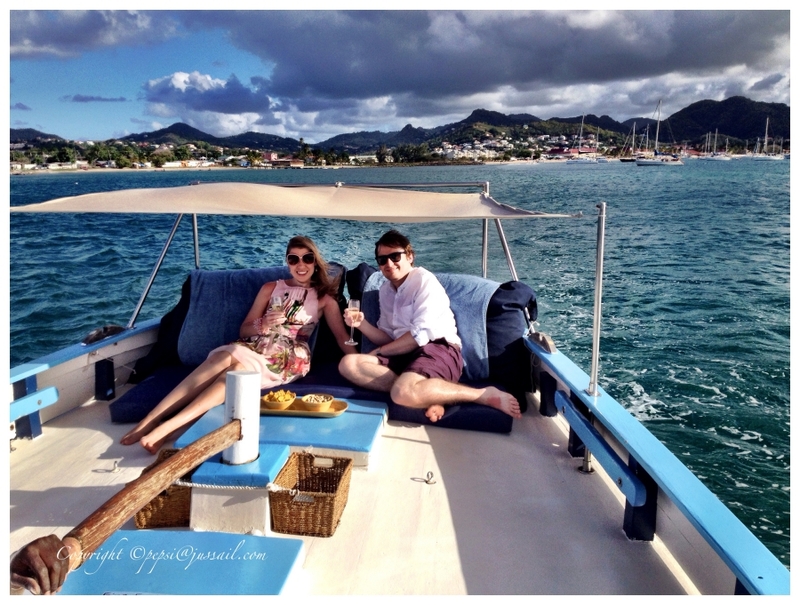 The Carriacou sloop’s wide decks lend themselves to providing comfy sailing for small groups and so Jus’ Sail’s regular menu of charters and excursions caters for up to 6 persons. The team has outfitted the decks with sumptuously comfy soft cushions and seats for those who’d like to kick back and be whisked along as the wind fills the sails on Saint Lucia’s most authentic Caribbean traditional yacht. If you’re angling for something more immersive, you can book to get a bit of hands-on action with a ‘Taster Session’. Take the helm, trim the sails, pull on a few lines, and when you’ve had your fill of ‘work’, the comfy seats and cushions await you! 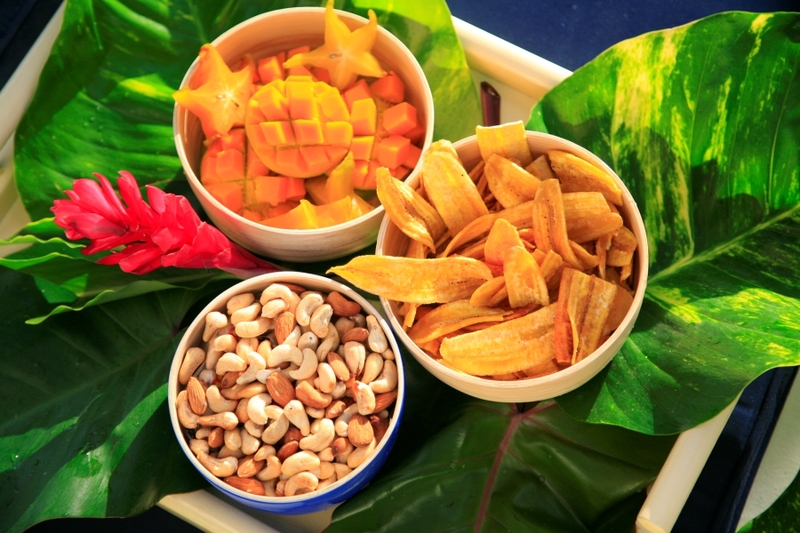 Pepsi and James take pride in ensuring their sailing excursions are well-stocked with delicious local snacks and both alcoholic and non-alcoholic drinks including fresh thirst-quenching coconut water and cousin Mullin’s famous rich local ‘black cake’ – a moist alcohol-soaked fruit cake. Some of these are available for purchase to take home as souvenirs and the income Jus’ Sail earns helps fund their non-profit work. Then there’s the romance of sunset cruises – Rum or Prosecco? Take a quiet sail out towards the setting sun, with glasses of prosecco in hand, just gazing at the beauty or snapping your best-ever travel shots. Or for a superb local experience, you can sip on some of the most iconic rums from Saint Lucia Distillers wonderful award-winning range of premium rums. Whichever of these is your pleasure, these are the cruises to book if you truly want to enjoy the beauty of sailing and Caribbean sunset. The Jus’ Sail team have made many a special moment into the memory of a lifetime. Ask about celebrating your special moments with them on board this beautiful yacht. Intimate, exclusive, care-free, serene…it’s all possible. The Jus’ Sail team is passionate about authentic, sustainable tourism and about reviving the island’s traditional maritime culture. 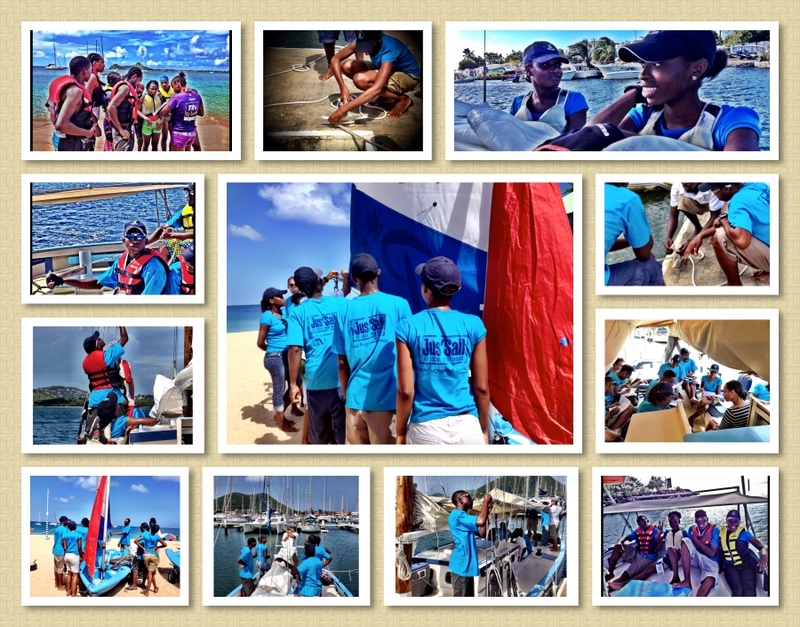 In the low season, the Jus’ Sail team runs the island’s only training for youth to gain a wide range of yachting skills. Since their 2012 launch, the Jus’ Sail Programme has graduated over fifty youth with skills and certifications that enable them to enter employment in the increasingly popular yachting sector, not just in Saint Lucia, but anywhere on the globe. 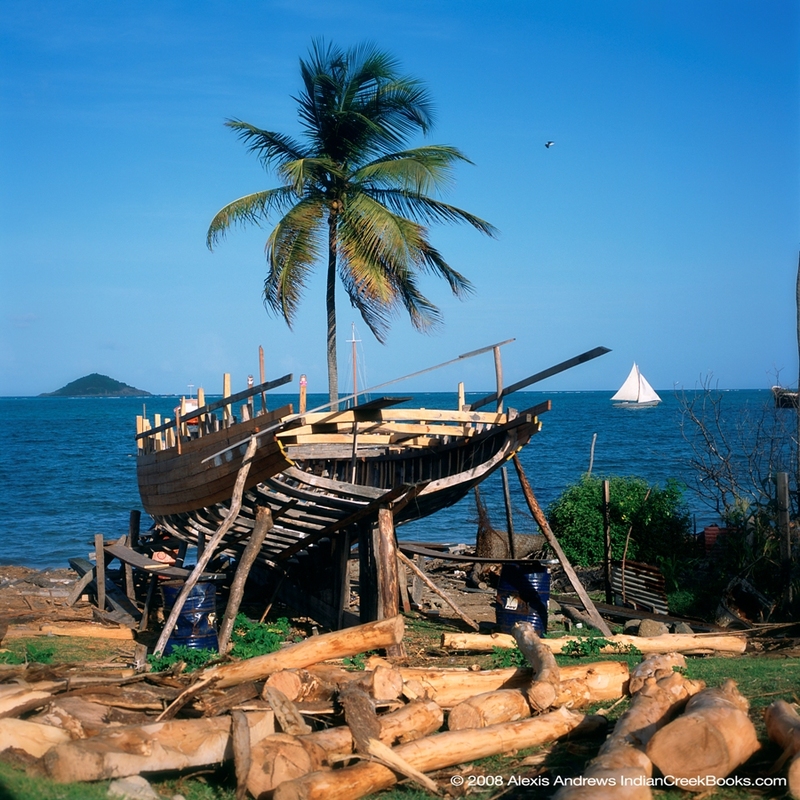 The story of Carriacou sloops is a story of Caribbean life: The islands have always relied on the sea as a means of trade, migration, livelihoods. In the pre-Columbian times, the indigenous peoples came via simple vessels skilfully crafted by carving and steam-stretching massive tree-trunks, making journeys from the mainland in the north-west and south. 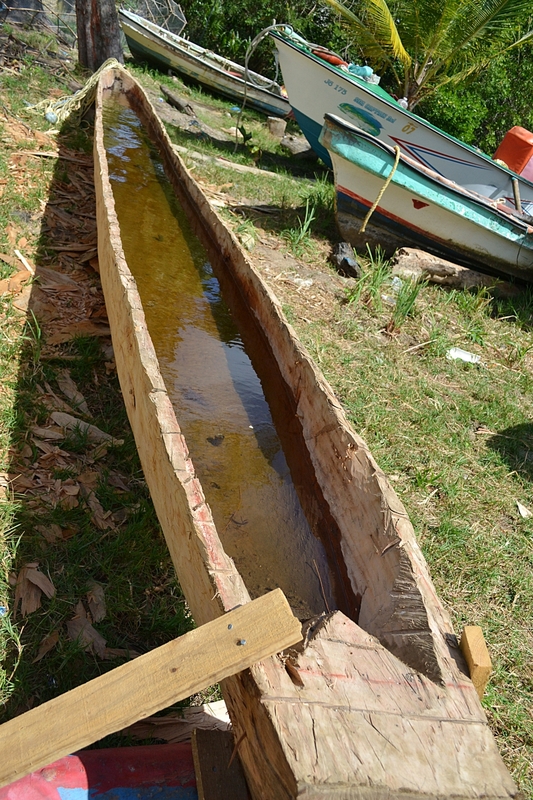 These Amerindian boatbuilding skills remained in use in many islands throughout the centuries only very recently becoming a rarity. 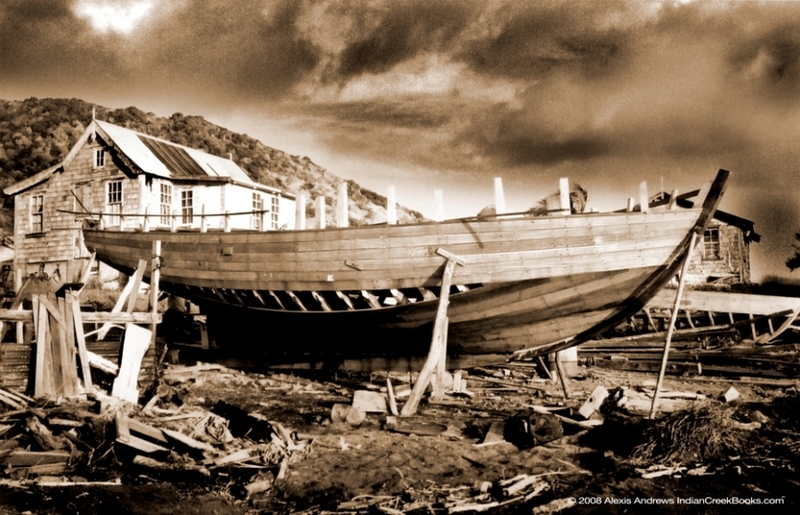 In Carriacou, sister island to Grenada, some 100 miles to the South of Saint Lucia, the history of building larger vessels is traced back to the 19th Century when a Scottish landowner, recognizing the need for locally constructed vessels to ply trade routes in the Caribbean, brought Scottish boatbuilders to the island. Since then the tradition has been transformed into a wholly indigenous one with skilled builders able to identify specific shapes of trees to suit the shapes of various parts of the hull and timbers. Tools and techniques have evolved to fit the remote place of making, with its unique culture. It is a skill that was nearly lost, and Good Expectation and Jus’ Sail play an important part in seeing that it lives on. Click on these What3Words addresses to be taken straight to the exact spot on the map for the locations. What3words gives every 3m x 3m in the world a unique 3 word address. Click here to learn more. Jus’ Sail’s vessel Good Expectation is located on A dock in the Rodney Bay Marina, this is the dock closest to the road and Harbor Club. So simply turn left on entering the marina gates and proceed across the car park to the water’s edge, we are second boat on the dock right in front of you. Parking available within Rodney Bay Marina. Getting To Saint Lucia	Where is Saint Lucia and how do I get there?